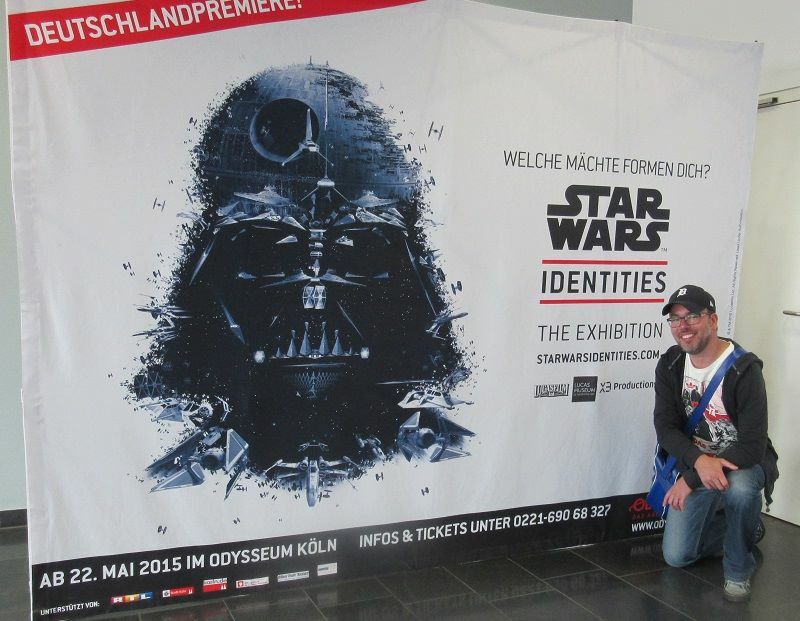 On sunday, July 12 2015, I went to Star Wars Identities – the Exhibition in Cologne, Germany. The last time I went to this exhibition was over 7 years ago when it (in a slightly different form) was in Brussels. Just like last time a lot of iconic costumes and props from all 6 Star Wars movies were on display. From Leia’s metal bikini to torture droid EV-9D9, from Mon Calamari cruiser Liberty to Han Solo’s costume from The Empire Strikes Back; there was a lot to see. There’s an old saying: “A picture is worth a thousand words“, so without further ado: here’s my report in pictures.